People kind of know me already as a conservative fellow when it comes to the stock market. In stock market trading websites, “Bo Sanchez” equals “boring.” They know I don’t dabble in penny stocks. Nor do I get too excited at IPOs. They know I focus only on gigantic “whale” companies. But more than once, people came up to me and mistake me for a Buy-and-Hold guy. Let me correct that notion: I don’t like Buy-and-Hold. 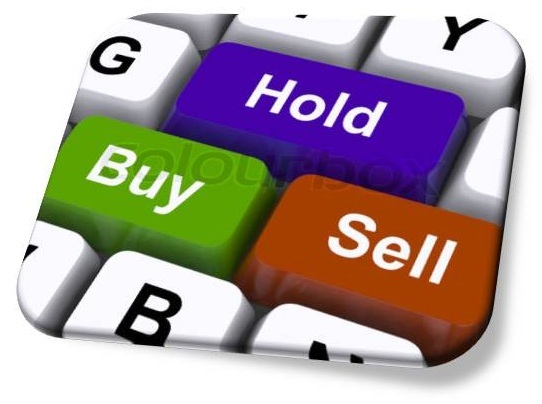 Buy-and-Hold is what I did with my MPI (Metro Pacific) stock. In 1999, I was a pauper. A married missionary living in a rented apartment and driving my Dad’s car. Because I spent my money for my wedding the year before, I had next to nothing. But for that stock purchase, I was able to forage P35,000. I bought 16,000 shares at P2.16. The following year, I sank. I filed the Stocks Certificate in my drawer. And that was it. I totally forgot about it. Until last month. I was searching for something in my room, so I had to do my seasonal general cleaning a bit early. And voila—I found the old MPI Stocks Certificate. That’s what you call Buy-and-Hold. In 14 years, I earned P54T. Until I compare this if I did an Averaging Method instead of a Buy-and-Hold Method. What if I just invested a measly P1000 each month for the past 14 years? 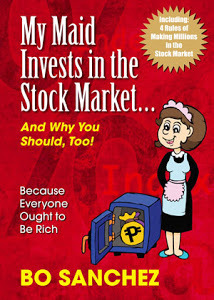 (Hey, if I could afford P35,000 in one plop—I could have afforded to invest P1,000 a month!) At 12 percent growth per year, my money would be P435,000 today! Do you want to have P88T or P435T? Use our beloved Strategic Averaging Method, what I believe to be the most powerful investing tool in the world.